Kā Huru Manu (the Ngāi Tahu Cultural Mapping Project) will be at the Southbase gallery on level 2 of the city library from Saturday 26th January until Sunday 28th April 2019. The exhibition complements the interactive online Ngāi Tahu Atlas, Kā Huru Manu, that has been compiled by Ngāi Tahu over the past decade and was launched in 2017. It features over 1200 traditional Māori place names in Te Waipounamu (the South Island). 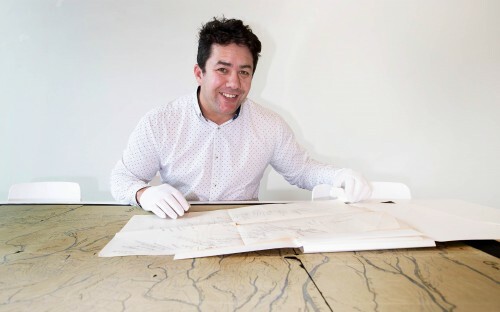 The Tūranga exhibition will feature reproductions of six hand drawn maps of the Canterbury region - some of which date back to the 1890s. Note: A presentation explaining the history of the exhibition will be held at Tūranga from 1pm on Saturday 26th January led by Sir Tipene O’Regan. It is open to the public.